Award-winning filmmaker Dustin Ferguson, aka “Dirty D” is at it again! 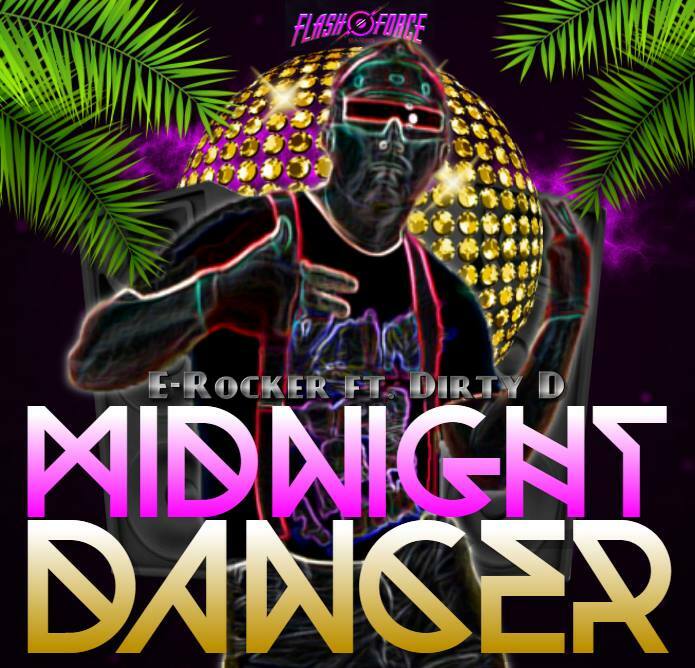 He has just released the second music video from his “Hollywood Rock” EP with German Hip Hop-Electro Artist E-Rocker, titled “Midnight Dancer”. This much anticipated video was directed and edited by music video filmmaker Brainztem, famous for his visual work with rising Hip Hop artist Cuban Doll, most notably on the clips “Bankrupt”, “Down To Ride” (featuring NyNy) and “Made It Now”. Fresh off the set of directing his most recent video for “Shake Sum”, director Brainztem teamed up with Dirty-D for his new video, which was filmed in Huntington Beach, California. The clip features “Dirty D” dressed in different “old skool”-inspired outfits, rapping his lyrics in a variety of locations, including a limousine, a luxurious duplex and a secluded park with break dancer “Jason Sensation”. The video features several notable cameos, including Carrie Annie Bernans of “Black Panther” fame, Dawna Lee Heising from “Revenge of the Samurai Cop” with Tommy Wiseau, Freddy James, who is a staple in the recent films of prolific B-movie director Jim Wynorski (“Chopping Mall”), Hollywood stunt-driver Ryan Rasberry of “Los Angeles Lifers” and actor and martial arts black belt Esau McKnight of “Spy Hard”. The “Hollywood Rock” EP is available to stream on Bandcamp, as well as through iTunes and Spotify. Dirty D’s follow-up “mixtape” titled “All It’s Missing Is My Name” is currently available for FREE on Soundcloud. I really enjoyed the catchy beats and the retro inspired theme. Dirty D and his entourage know how to party!